" The delivery was too fast. I'm satisfied with it and the products as to date. 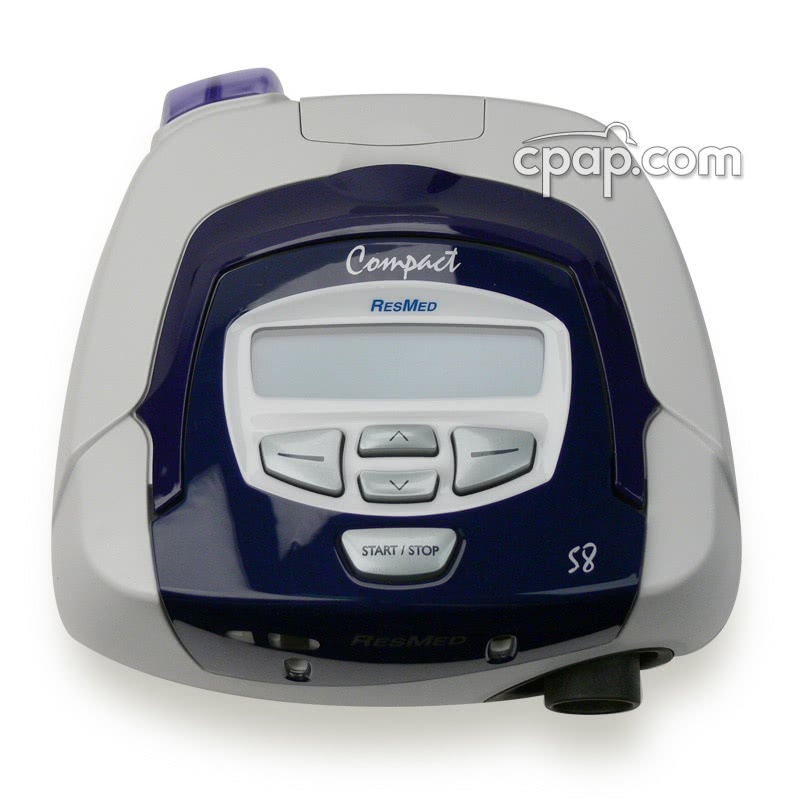 Thanks "
The S8 Compact is the entry level model in the Resmed S8 series. It offers ramp capabilities, 4-band altitude settings, manual altitude adjustment, and light-weight durable construction made from flame retardant engineering thermoplastic which also helps make the machine quiet. Data Storage, Used hours and usage days available from flow generator. 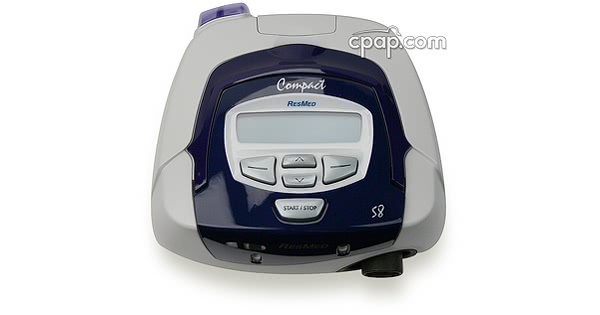 This cpap machine does not come with the standard blue carrying case that all other S8 cpaps are sold with. 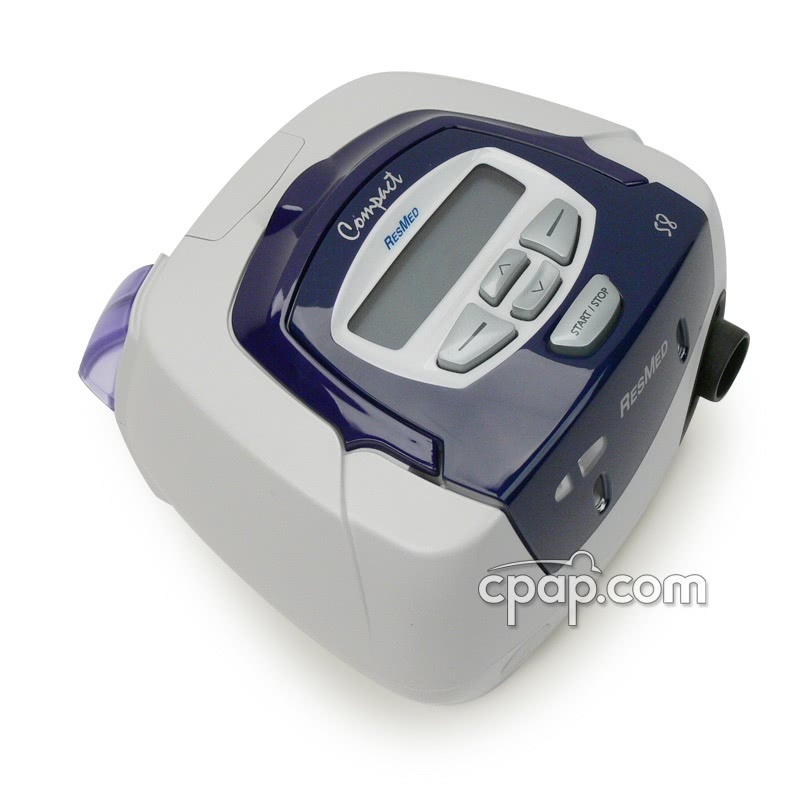 This cpap only includes a small black case for only the cpap. This machine is not DC capable. 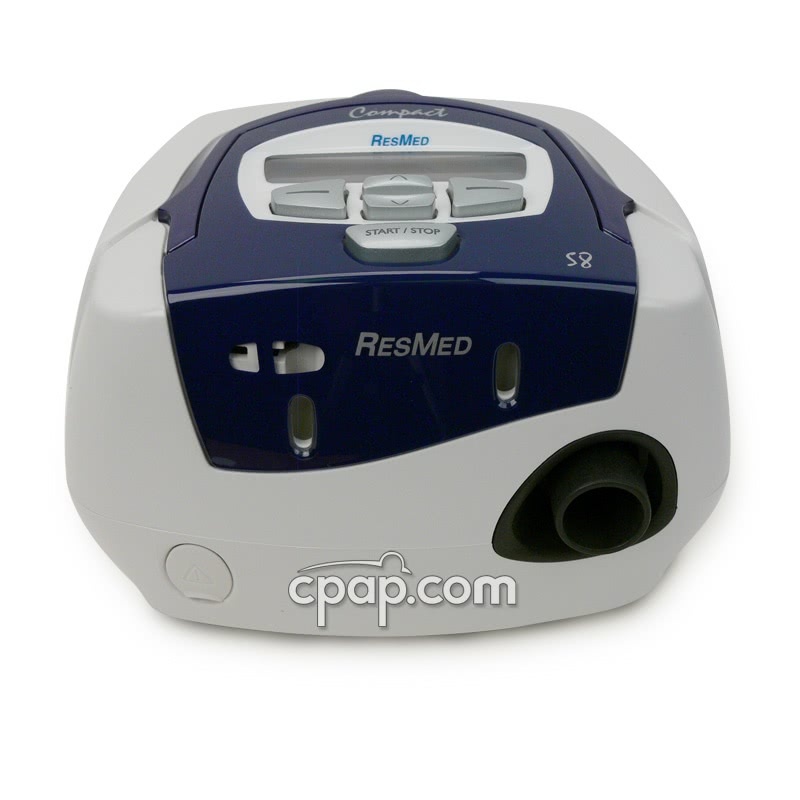 ResMed S8 machines are required to use a pure sine wave AC power source when connecting through an inverter; particularly, the ResMed S8 Compact is not DC compatible and must plug into a wall socket. 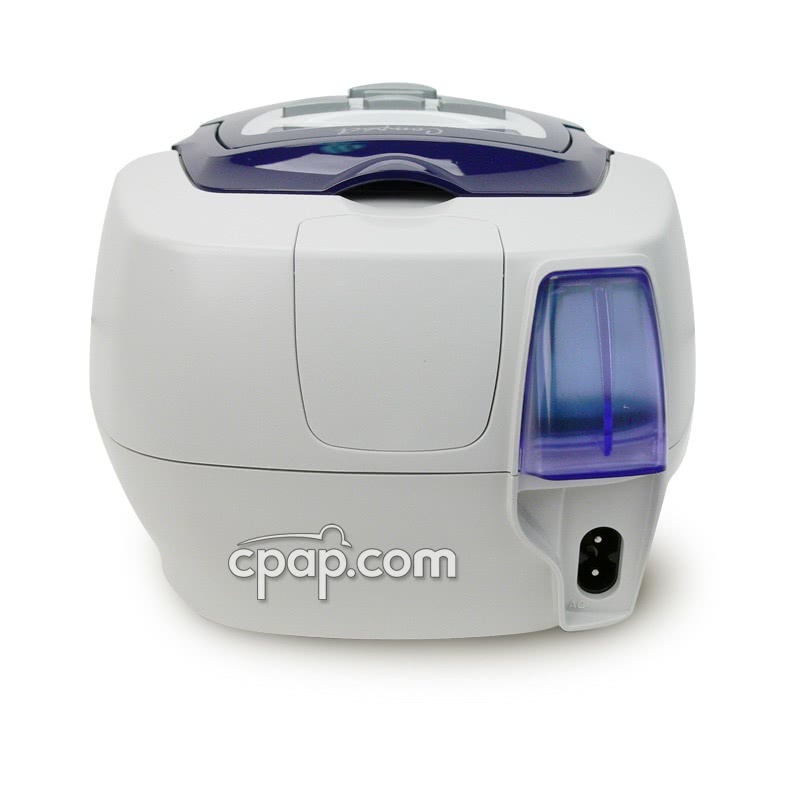 The DC to AC Pure Sine Wave Power Inverter provides clean AC power to any CPAP. 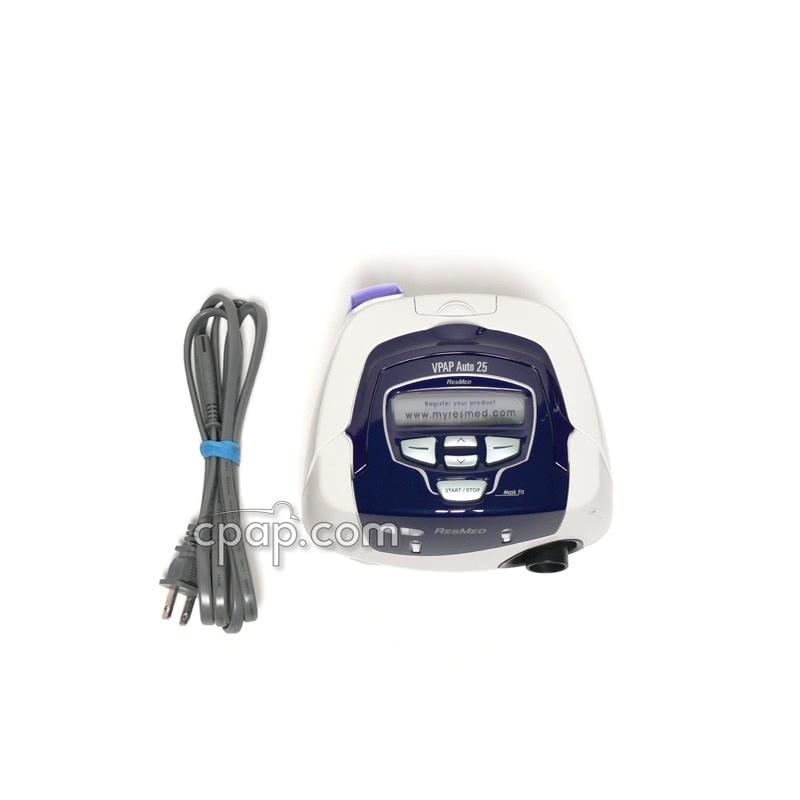 You will need this product to operate the S8 Compact or any other S8 machine using the standard AC plug. DC to AC Pure Sine Wave Power Inverter Second Gen: This inverter will convert DC power to the pure sine wave power needed to power the S8 Compact with or without humidifier. Respironics Battery Kit with DC to AC Pure Sine Wave Power Inverter Second Gen: This battery kit is a combination of the Respironics Battery Pack (No DC Cable) and the pure sine wave inverter needed for the S8 Compact. Please note that use of an inverter significantly reduces battery run time. Adding a heated humidifier will reduce run times even further.